In today’s fast-paced production environments, pick and pack operations ask a lot from human operators since they demand uninterrupted speed, accuracy and dexterity. Whether they are picking and packing cheese sticks, awkwardly shaped Tarte Flambée, or mixed-load pallets, robots, by way of contrast, can complete these tasks consistently at high speed without the need for breaks. To increase productivity, dedicated software can be used to coordinate and synchronise multiple robots picking and packing 2,000 items per minute on a line. This kind of automation not only lowers your costs verus manual, but also saves you valuable production time. Because no two pick and pack production scenarios are the same, one particular manufacturer has created the world’s first fully customisable software – making it easy for you to adapt your robots to any number of multiple conveyor, cell and line set ups. Visual line tracking technology provides up to four robots with human-like eye-hand coordination skills, enabling them to sort and pick loose parts on a moving conveyor using a single vision system. 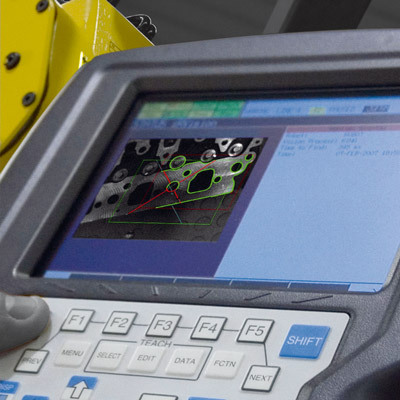 To minimise switch over time between production runs, some manufacturers provide software that makes configuring new motions as straightforward as possible. Adapted specifically for use in primary food environments, some models of pick and pack robots are certified to handle raw and fresh produce. As such, they are built to take the harsh salty, alkaline and acidic conditions that this sometimes entails. Linked to either single or multiple 2D cameras or 3D sensors, state-of-the-art vision systems enable robots to identify and select random objects on a conveyor according to either colour, shape or size. Robotic food systems are faster, more compact and affordable than you might think. 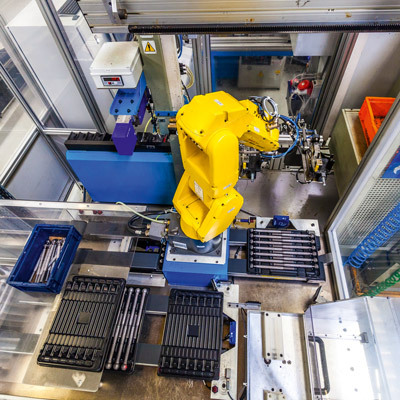 Equipped with both CPUs that control up to four robots and vision systems to give them eyes, robots can work with human-like accuracy when picking random products off a moving conveyor, making for less waste and higher rates of throughput. Often providing an excellent ROI, they also make long-term financial sense thanks to high levels of durability and future-proofing. 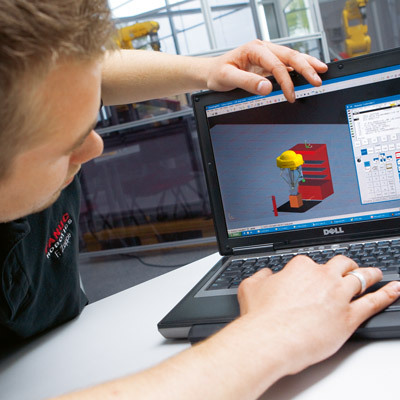 Modelling software enables you to simulate visual tracking systems involving multiple robots before applying them to your real-life production scenarios. Handling up to 3,600 cheeses an hour, coordinated robots use intelligent systems to detect and overcome product inconsistencies. Since the cheeses are no longer handled manually, product quality and hygiene is improved. Cost-effective queue management tracking software provides an optimal solution for pick and pack processes involving single robot and multi robot line tracking or visual line tracking applications such as picker lines. Using these proven tools, beginners and experts alike can create standard configurations or customise their own solutions. Good solutions are quick and easy to set up using plug & play, do not require TP programming and can be conveniently operated via an external pendant.